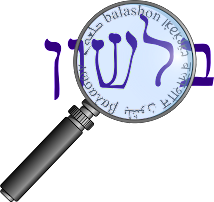 Balashon - Hebrew Language Detective: speel or shpeel? In my post on the word spiel, I suggested that the while the word likely entered English originally through German, the current pronunciation "shpiel" indicates more recent Yiddish influence. I received a number of comments pointing out to me that the German pronunciation is also shpiel. So why did I associate it with Yiddish? They etymological pronunciation of all the English words we have dealt with here is with /š/ (which is the only one I have ever heard in American English). The second edition of Oxford English Dictionary also shows a pronunciation with /s/, which results both from English spelling pronunciation and from the tendency of allolingual word-initial preconsonantal /š/ to become /s/ in English. If I understand the end of what he wrote correctly, he's referring to the fact that it's rare for foreign words (allolingual) that entered English to maintain their "sh" sound before certain consonants (p, t, or k). So if what Gold says is true, then the word was always pronounced "shpiel" in English (going back to its German roots, which Gold argues for). But is that really the case? spiel (= a set monologue or rehearsed oral presentation) is pronounced /speel/, not in the mock-Yiddish fashion that has become so common (/shpeel/). Spiel, says Garner (2003), "is best pronounced /speel/, not in the mock-Yiddish fashion that has become so common (/shpeel/), which is jocular." Both the verb to spiel ("to talk glibly, to patter or pitch") and the noun spiel ("a glib speech, harangue, or voluble sales pitch") entered English in the late 19th century, borrowed from the German spielen, to play, and Spiel, play, game. The German pronunciation, as Kenyon & Knott (1949) note, is SHPEE-ul, but from the outset dictionaries recorded only the anglicized pronunciation SPEEL. Whence, then, this "mock-Yiddish"SHPEEL? Is it jocular, or is it justified? For an answer I turned to the distinguished lexicographer Sol Steinmetz, who has edited more than thirty dictionaries and many reference books and is coauthor of Meshuggenary: Celebrating the World of Yiddish (2002). "I remember doing an informal poll on that very question during my editorship of the Random House dictionaries," Steinmetz replied. The "rather surprising" result was that preferences were divided along ethnic lines. "My Jewish respondents invariably pronounced the word as SHPEEL" he told me, "whereas gentile subjects pronounced it SPEEL. "Since both the German and the Yiddish etymons are pronounced SHPEEL," Steinmetz went on, "SPEEL is an Anglicization which Jewish speakers didn't seem to have picked up. I would favor the SPEEL pronunciation because the English meaning of the word ('extravagant talk to lure a customer, etc. ; pitch') is itself an innovation, the German and Yiddish meanings being the literal senses of 'play, game, gamble.'" So here's my take on it: If you're Jewish and you've always said SHPEEL,or if you're gentile and you've always said SHPEEL with a straight face, I'mnot going to tell you to change your tune. But for everyone else — indeed, the great majority of us — SHPEEL is in fact mock-Yiddish and jocular, and SPEEL is the better choice. Of the six major current American dictionaries, two give only SPEEL and the other four list it first, and Lass & Lass (1976), the NBC Handbook (1984), and The Barnhart Dictionary of Etymology (1988), for which Mr. Steinmetz was managing editor, all prefer SPEEL. So we see from no less of an expert than Steinmetz that the pronunciation "shpeel" is from Yiddish - not German, and that the original (and "correct") pronunciation in non-Yiddish influenced English is "speel". The question remains, though, why didn't the German "shpeel" remain in English? I think that part of the reason is due to the rarity (and perhaps difficulty) of pronouncing words beginning with the sound "shp". But I think another reason might be that since the spelling in English matched the German, and "s" is almost never pronounced "sh" - that people assumed this was the way to say the word. I did a cursory search of words of German origin in the Online Etymology Dictionary, and I could not find a single word post 1700 from German that maintained an "s" spelling but a "sh" pronunciation. I did find a few words, however, that are pronounced "sh" in German, but "s" in English: spritz, strudel (unless the speaker is influenced by Yiddish), and streusel. Two other words - swindler and snorkel - also fit this category, although they were originally spelled with "sch" in German (schwindler, schnorkel). So I think this is likely the case with spiel - it was pronounced shpeel in German, but spelled spiel, and so the initial English pronunciation was spiel - until the Yiddish influence began. One more proof - two words related to spiel - bonspiel and glockenspiel - end with the pronunciation "speel" in English. Okay - I'm done with my spiel. Do you buy it?